all our games (except 'Xeniphers Quest 3: The Old City Clock') can be played in 'normal' client now. some markers have been changed in: 'Xeniphers Quest 2' and 'MEMORY LANE 2' to suit 'normal' client. we hope someone someday will fix KI in skydiving client so i will keep both versions of the above mentioned games. hello everyone and HAPPY NEW YEAR ! it is my previous CITY TENT game extended to lookout rock. it is a very nice route and not too difficult ! if you had my CITY TENT game it should show in your KI as TENT TO LOOKOUT ROCK now with added markers / route to lookout rock. if interested please post your avatar's name and KI # below or contact me in the game. if you are interested please contact me either here or in the game. i will send it to you Berric. when you finish it please send the solutions through PM here or in MOULa. Sorry for replying to an old thread. Please send me your Marker Quest to my avatar. I want Xeniphers' Quest 1. The KI number is #89860.
good luck and don't forget to send a solution when you finish it. Thank you very much Zesty!! I was aware. I am very glad that you have lots of games. I am looking forward to playing. Hello Zesty, long time no see. I am currently rehabilitating my left hand. I saw my older sister and my nephew playing your Marker Quest happily and I also wanted to play. I borrowed the data of my nephew and tried a little play. I could catch almost any Marker with one hand. Several Markers could not be taken with one hand. However, I was crazy, I used my left hand unconsciously trying to take that Marker. My left hand moved slightly! I am going to tell this incident to my doctor today. So, I have a favor to you. I want you to send me Xeniphers Quest 1. I can get this game from my nephew. But, I want to send it from Zesty of Xeniphers. This is because this game may save me. wow Chiro , that is such great news ! i will send the game to Peke sometimes later today and i hope you get better very soon. Kirk and will help in the game if you get stuck. just give us a shout if/when you need it. 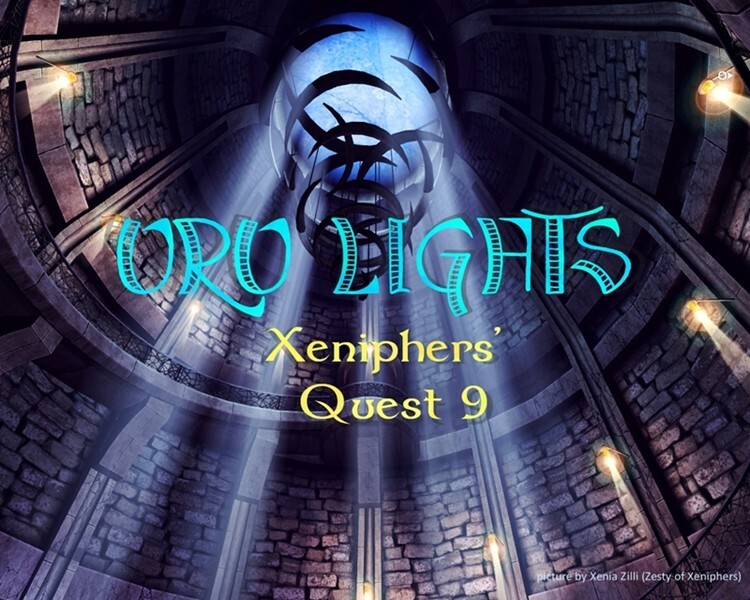 XENIPHERS QUEST 1 has been sent to Peke (date: 09/28/14) together with the file called: INTRO: Xeniphers' Quests and Marker Games. P.S. i have never received more uplifting feedback from the players that played our games. I received your Marker Quest!! I talked to my doctor today. My doctor said that it was a miracle. "Rehabilitation will not succeed without your own strong will." "The strong feeling you wanted to move your hand somehow called this miracle." Heh - this reminds me of how whenever I do a run-jump or walk-jump how my body just instinctively rises out of the chair! Keeps me getting exercise even while playing the game! These marker quests REALLY tap into that "instinct"! Thanks for the wonderful quests! I've still not found my LAST marker in Quest 1 - but I will eventually!!! Quest 1 was my first "deep" marker quest, and it really opened me up to an entire new level of discovery within the game. I'm a quest-addict now! hello Terry, Kirk and i will be in the game tomorrow at about 8 AM KI time. maybe we could try to find that marker together ? Thank you very much Zesty!!!!! I have not experienced so much fun rehabilitation so far!!!! !